Hello, My name is James Bancroft. I am a former Marine who was at one time assigned to Marine Medium Helicopter Squadron, HMM-165, during the Hostage Crisis of 1980. What you are about to read on the next 15 pages or so, is a collection of my own personal rememberances of the events surrounding the Hostage Rescue Attempt, mixed in with some historical accounts from sources like the Air Force Association, History Channel, and Hofstra University. I do not post here to draw attention to myself, I post these pages to draw attention to American Servicemen who gave their lives in service to their country. I was NOT one of the Marines, Army, Navy or Air Force Personnel that actually went in to Desert One, I was just off the coast of Iran during their mission. I honor those men because I would have been there with them if ever given the chance, and I call them heroes to this day. The Iran hostage crisis began November 4, 1979, when a mob of Iranians seized the U.S. embassy in Tehran, taking a large group of employees hostage. Eleven months earlier, a revolution led by the Islamic fundamentalist Ayatollah Ruholla Khomeini had overthrown Mohammad Reza Pahlavi, the shah of Iran. Relations between the two countries had been strained since that time, as Iran's new leaders denounced the United States for its longtime support of the shah. When the exiled shah entered the United States in October for medical care, many Iranians feared a repetition of the U.S.-assisted coup that had put the shah on the throne in 1953. The hostage taking followed. 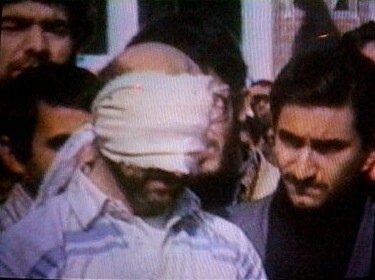 Nineteen hostages were released within a few weeks; the remaining fifty-two were held for 444 days. When it became clear that the Iranian government was not going to resolve the problem, President Jimmy Carter moved to freeze Iranian assets, both in the United States and abroad. Diplomatic efforts were launched through the United Nations and various private intermediaries, but by March 1980 it had become clear that none of the rival political groups in Iran was willing to risk the unpopularity of letting the hostages go. This impasse led Carter to order a rescue effort by helicopter, but three of the eight helicopters failed before reaching Tehran, and the mission had to be aborted. Eight men died in the operation. News of the failure aggravated the American public's mounting frustration over the crisis, providing a focus for broader criticism of Carter's administration (sharpened by the fact that this was an election year) as well as more general distress over America's waning ability to control world events. These issues undoubtedly contributed to Carter's defeat by Ronald Reagan in November. Nevertheless, by then a new Iranian government had been formed, and serious negotiations began soon after, with Algeria as mediator. The United States agreed to unfreeze most Iranian assets in exchange for the hostages. Finally, on January 20, 1981 - only a few hours after Carter left office - all fifty-two hostages were released and landed safely in West Germany. This is the Memorial Marker for the Brave Men that gave their lives in service to their country on April 25, 1980, during what has become known as the Hostage Rescue Attempt. This page is dedicated to those men that died, and to those men that served with them in trying to rescue those Americans held illegally by the Iranian Government for 444 days from November 4, 1979, to January , the day that Ronald Reagan was inaugurated. Remember these names always. These men gave their lives trying to free good men and women. They did not die in vain. Three of these men were United States Marines: Sgt. John D. Harvey, 21; Cpl. George N. Holmes, 22; SSgt. 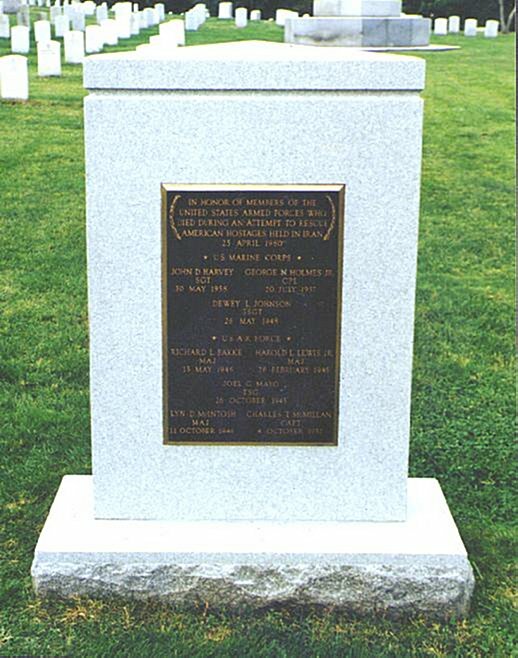 Dewey L. Johnson, 31, all who died in or trying to escape their RH-53 Sea Stallion helicopter. 5 of them were members of the United States Air Force, Maj. Richard F. Bakke, 33; Maj. Harold L. Lewis, 35; TSgt. Joel C. Mayo, 34; Capt. Lyn D. McIntosh, 33; and Capt. Charles T. McMillan, 28, who died in the cockpit of their C-130 Hercules transport. Click on the photo to enlarge. Click on the photo to enlarge.